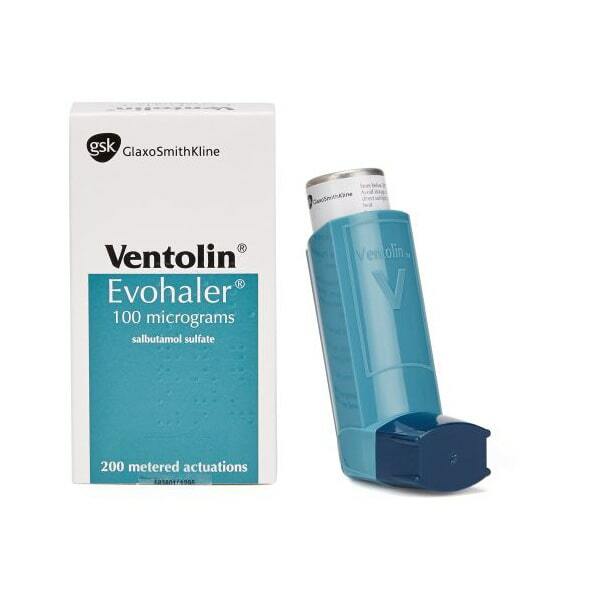 Ventolin is a medication that is used to treat and prevent bronchospasm caused due to various conditions. Ventolin relaxes the muscles in the airways and also increases the airflow into the lungs. Ventolin may be taken with or without a meal. You may have to prime the inhaler device for the first time, by spraying 4 sprays into the air. You should shake the container well before priming. If you have not used the inhaler for 2 weeks or longer, or if you have dropped the inhaler, then prime it again. Breathe out fully and then uncap it. Put the mouthpiece in your mouth, press down on the inhaler and breathe in. Now hold your breath for 10 seconds. If you are taking multiple inhalations, wait at least 1 second between each inhalation. Store Ventolin in a cool and dark place at room temperature. Do not store it in a place where it can get exposed to direct sunlight or moisture. Before using Ventolin, you should consult a physician and discuss about your medical history. Ventolin may interact with some medications. So if you are using any prescription, non prescription, OTC medicines or dietary supplements, then inform your physician in advance before you use Ventolin. Ventolin may be passed on to the baby if you are breast feeding. Please speak to your doctor about the potential risks of breast feeding while using Ventolin. Headache, dizziness, sleep problems (insomnia), cough, hoarseness, sore throat, runny or stuffy nose, mild nausea, vomiting, dry mouth and throat, muscle pain or diarrhea. These side effects usually subside by themselves in sometime as the body gets used to Ventolin. Bronchospasm (wheezing, chest tightness, trouble breathing), especially after starting a new canister of this medicine, chest pain and fast, pounding, or uneven heart beats, tremor, nervousness, low potassium (confusion, uneven heart rate, extreme thirst, increased urination, leg discomfort, muscle weakness or limp feeling); or dangerously high blood pressure (severe headache, blurred vision, buzzing in your ears, anxiety, confusion, chest pain, shortness of breath, uneven heartbeats, seizure).